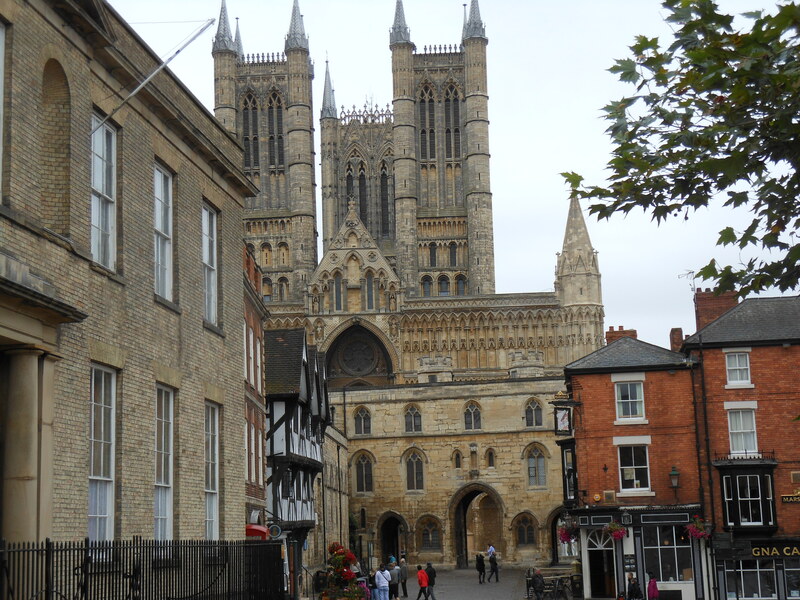 “The Lincoln Fair” – the Battle that Saved England – History… the interesting bits! Saturday 20th May, 2017, marks the 800th anniversary of one of Medieval England’s most decisive battles. The Second Battle of Lincoln, also known as “The Lincoln Fair”, rescued England from the clutches of Louis, Dauphin of France and future King Louis VIII. England had been in turmoil during the last years of the reign of King John, with the barons trying to curtail the worst of his excesses. It had been hoped that he 1215 issuing of Magna Carta would prevent war, but when John reneged on the Great Charter, war was inevitable. England’s disgruntled barons even went so far as to write to Philip II, King of France, and invite his son, Louis, to come and claim the throne. Louis had jumped at the chance and landed on England’s shores in 1216. John went even further to show his trust in Nicholaa, who was a long-time supporter of the unpopular king. 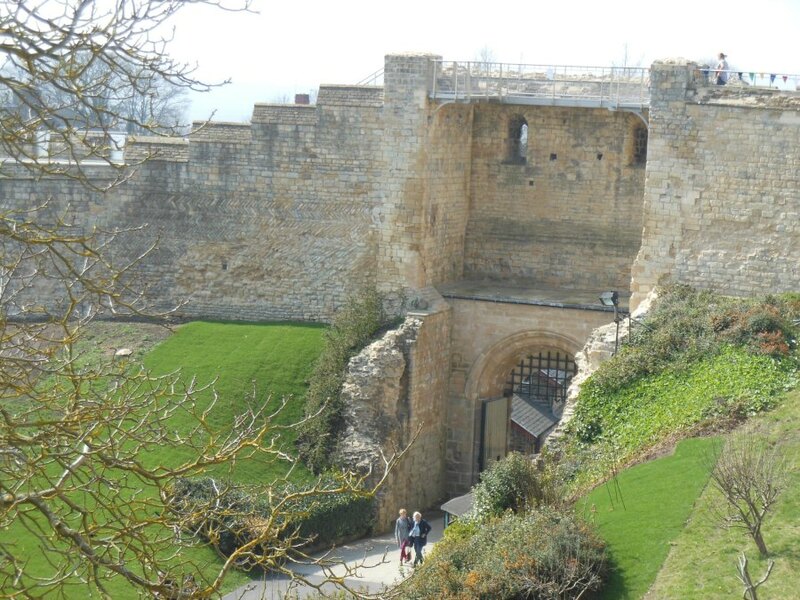 As Louis consolidated his position in the south, John made an inspection of Lincoln castle in September 1216. During the visit Nicholaa de la Haye, who held the castle for John, even though the city supported the rebels, was appointed Sheriff of Lincolnshire in her own right, a very unusual move in a male-dominated world. Moving south, just 2 weeks later, the king’s baggage train was lost as he crossed the Wash estuary and within a few more days John was desperately ill. King John died at Newark on 19th October 1216, with half his country occupied by a foreign invader and his throne now occupied by his 9-year-old son, Henry III. The elder statesman and notable soldier William Marshal, Earl of Pembroke was appointed Regent and set out to save the kingdom. 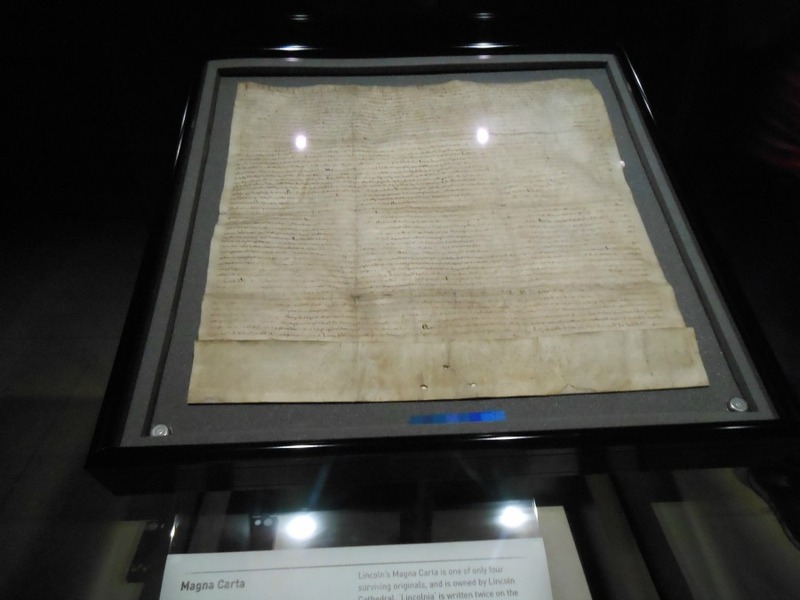 Following the coronation of young Henry, Magna Carta was reissued and some of the rebel barons returned to the fold, not wanting to make war on a 9-year-old king. However, Louis still had powerful supporters and did not seem keen to give up on his dream to rule England. Louis’ forces, under the Comte de Perche, marched north intending to relieve Mountsorel Castle, which was being besieged by the Earl of Chester. Chester had withdrawn as the French arrived and Perche’s forces diverted to Lincoln. In early 1217, they took the city and laid siege to the castle with a small force. Now in her 60s, Nicholaa de la Haye took charge of the defences, with the help of her lieutenant, Sir Geoffrey de Serlant. Shortly afterwards, Prince Louis personally travelled up to Lincoln to ask for her surrender, assuring her no one would be hurt, but Nicholaa refused to yield. For almost 3 months – from March to mid-May – siege machinery bombarded the south and east walls of the castle. When the small force proved insufficient to force a surrender, the French had to send for reinforcements. This meant that half of Louis’ entire army was now outside the gates of Lincoln Castle and provided William Marshal with an opportunity; one decisive battle against Louis’ forces at Lincoln could destroy the hopes of Louis and the rebel barons, once and for all. Risking all on one battle was a gamble, but one that Marshal was determined to take. Spurred on by the chivalrous need to rescue a lady in distress – the formidable Lady Nicholaa – Marshal ordered his forces to muster at Newark by 17th May. While the young king, Henry III, waited at Nottingham, Marshal’s forces prepared for war. The papal legate, Guala, absolved the Royalist army of all their sins – of all the sins they had committed since their birth – and excommunicated the French forces, before riding to join the king at Nottingham. While at Newark, Marshal set out the order of battle, although not without some argument. The Norman contingent and Ranulf, earl of Chester, both claimed the right to lead the vanguard. However, when Ranulf threatened to withdraw his men, it was decided to acquiesce to his demands. 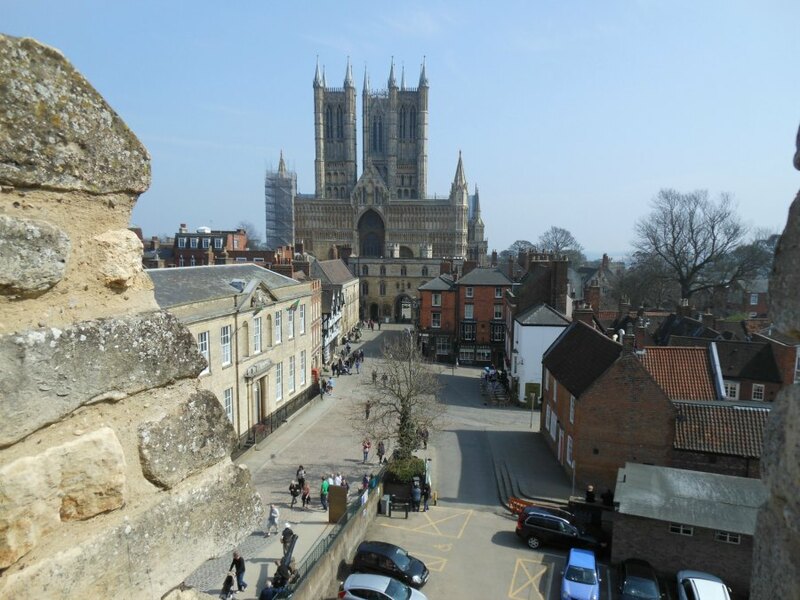 Lincoln is an unusual city; its castle and cathedral sit at the top of a hill, with the rest of the city to the south, at the hill’s base. In the 12th century it was enclosed in a rectangular wall, which had stood since Roman times, with 5 gates, and the castle abutting the wall at the north-west corner. William Marshal decided not to attack Lincoln from the south, which would have meant heading up the Fosse Way (the old Roman road) and forcing a crossing of the River Witham, before climbing the steep slope to the castle and cathedral (so steep, the road going up is called Steep Hill to this day). Instead he chose to take a circuitous route, so he could come at the city from the north-west and attack close to the castle and cathedral, directly where the enemy troops were concentrated. On the 19th May Marshal’s forces crossed the River Trent and set up camp at Torksey, about 8 miles to the north of Lincoln, with some troops possibly camped 3 miles closer to the city, at Stowe. The English commanders included William Marshal, earl of Pembroke, his son, Young William Marshal, and nephew, John Marshal, in addition to Ranulph, Earl of Chester, William Longspée, earl of Salisbury, Peter des Roches, bishop of Winchester, and Faulkes de Breauté. They led 406 knights, 317 crossbowmen and a large number of sergeants-at-arms, foot soldiers and camp followers. Although Louis was in charge of the French forces in England, those in Lincoln were led by Thomas, Comte de Perche, himself a grandson of Henry II’s daughter Matilda, and therefore a cousin of King Henry III; the commanders, of the English rebels in the city included Robert FitzWalter and Saer de Quincey. They led over 600 knights and several thousand infantry. Now listen, my lords! There is honour and glory to be won here, and my opinion is that we have the chance to free our land. It is true that you can win this battle. Our lands and our possessions those men have taken and seized by force. Shame be upon the man who does not strive, this very day, to put up a challenge, and may the Lord our God take care of the matter. You see them here in your power. So much do I fully guarantee, that they are ours for the taking, whatever happens. if courage and bravery are not found wanting. And, if we die …, God, who knows who are his loyal servants, will place us today in paradise, of that I am completely certain. And, if we beat them, it is no lie to say that we will have won eternal glory for the rest of our lives and for our kin. And I shall tell you another fact which works very badly against them: they are excommunicated and for that reason all the more trapped. I can tell you that they will come to a sticky end as they descend into hell. There you see men who have started a war on God and the Holy Church. I can fully guarantee you this, that God has surrendered them into our hands. As with all battles, the information gets confusing as battle commences, timings get distorted and facts mixed. No two sources give exactly the same information. So the story of a battle is a matter of putting the pieces together and making sense of various snippets of information – much as it would have been for the commanders on the day. In the dawn of 20th May the English Royalist army marched south towards Lincoln. Marshal had hoped that, on reaching the plain in front of the city walls, the French would come out and meet him and a pitched battle would be fought outside of the city. Marshal was resting everything – the very future of England – on the outcome of that one battle. However, it seems that, although the French leaders did come out and take a look at the forces arrayed before them, they then chose to stay inside the city walls and wait for the Royalists to come to them. William Marshal’s nephew, John Marshal was sent to the castle, to ascertain the situation within the city, but as he approached, Nicholaa’s deputy, Geoffrey de Serlant, was making his way out to report to the English commanders that the castle was still in Nocholaa’s hands. It is not hard to imagine Nicholaa or her deputy climbing the tallest towers of the castle, to watch out for an approaching relief force. Seeing the Marshal’s banners appearing in the north must have been an amazing feeling. The castle itself had 2 main gates, one in the eastern wall and one in the west, with postern gates were in the Lucy Tower to the south-east of the castle and the Cobb Hall to the north-east corner. On ascertaining that the castle still held, Peter des Roches then made his way inside, probably by the postern gate in Cobb Hall. Having met with Nicholaa de la Haye in the Lucy Tower, it seems he then made his way into the town via the postern, to check the defences and try to find a way into the city. Des Roches’ reconnaissance proved successful and he reported to Marshal that there was a gate within the north-west wall of the city, which, although blockaded, could be cleared. As Marshal set men to clearing the blockaded gate, the earl of Chester was sent to attack the North Gate as a diversion and Faulkes de Breauté took his crossbowmen into the castle via the West Gate and set them on the ramparts above the East Gate, so their bolts could fire down on the besiegers. 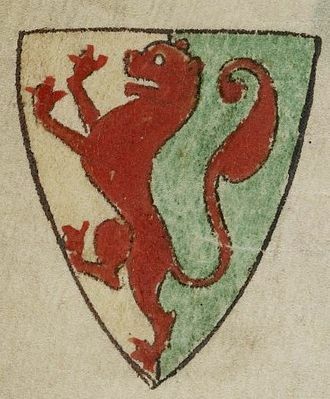 De Breauté fell into disgrace in 1224 and so the major source for the Battle of Lincoln – the Histoire de Guillaume le Maréschale – plays down his role in the battle. However, his crossbowmen managed to keep the French forces focussed on the castle, rather than Marshal’s forces outside the city. De Breauté did make a sortie out of the East Gate, to attack the besiegers, but was taken prisoner and had to be rescued by his own men; although at what stage of the battle this happened is uncertain. It took several hours, it seems, for Marshal’s men to break through the gate; but when they did, the 70-year-old William Marshal was so eager to lead the charge that he had to be reminded to don his helmet. Once safely helmeted, he led his men down West Gate, turning right to approach the castle from the north, his men spilling into the space between castle and cathedral, where the main force of the besiegers were still firing missiles at the castle. The English forces took the enemy so totally by surprise that one man – according to the Histoire he was the enemy’s ‘most expert stonethrower’² – thought they were allies and continued loading the siege machinery, only to head struck from his shoulders. The Comte de Perche made his stand in front of the cathedral, rallying his troops; and it was there he took a blow from Reginald Croc which breached the eye slit of his helmet. Croc himself was badly wounded and died the same day. The Comte continued to fight, striking several blows to the Marshal’s helmet (the one he had almost forgotten to don), before falling from his horse. It was thought the Comte was merely stunned until someone tried to remove his helmet and it was discovered that the point of Croc’s sword had pierced the count’s eye and continued into his brain, killing him. With the death of their leader, the French and rebel barons lost heart and started pulling back. They fled downhill, to the south of the city. Although they briefly rallied, making an uphill assault, but the battle was lost and there was a bottleneck at the South Gate and the bridge across the Witham as the enemy forces fled. The rebel leaders, Saer de Quincey and Robert FitzWalter were both taken prisoner, as were many others. In total, about half of the enemy knights surrendered. A sad story is related that, after the battle, women took to the river with their children, in small boats, to escape the attentions of the victorious army. However, not knowing how to control the overloaded craft, many capsized and the women and children drowned. The city, which had supported the rebels, was sacked, churches included; the excommunication seen as permission that everything was fair game. The battle earned the name ‘The Lincoln Fair’, probably because of the amount of plunder gained by the victorious English army. Immediately the battle was won, William Marshal, earl of Pembroke, rode to Nottingham to inform the king of the victory. The Battle of Lincoln turned the tide of the war. 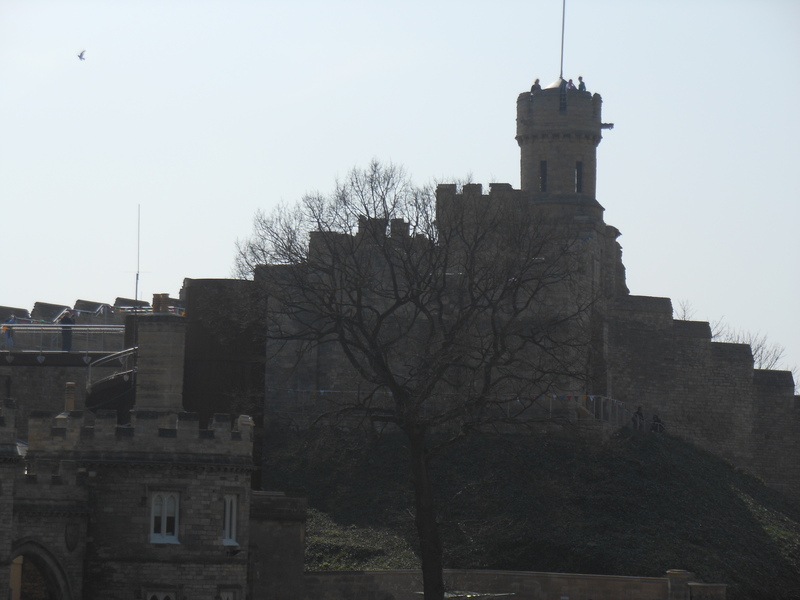 On hearing of the battle, Louis immediately lifted his siege of Dover Castle and withdrew to London. His situation became desperate, his English allies were bristling against the idea of Louis giving English land as reward to his French commanders and were beginning to see the young Henry III as rightful king – after all, the son couldn’t be blamed for the actions of the father. In August of the same year Louis was soundly defeated at sea in the Battle of Sandwich, off the Kent coast. By September he had sued for peace and returned to France. In an incredible demonstration of ingratitude, within 4 days of the relief of the Castle, Nicholaa de la Haye’s position of Sheriff of Lincolnshire was given to the king’s uncle William Longspée, Earl of Salisbury, who took control of the city and seized the castle. However, not one to give up easily Nicholaa travelled to court to remind the king’s regents of her services, and request her rights be restored to her. A compromise was reached whereby Salisbury remained as Sheriff of the County, while Nicholaa held the city and the castle. The battle had been a magnificent victory for the 70-year-old regent, William Marshal, Earl of Pembroke, and is a testament to his claim to the title ‘The Greatest Knight’. He staked the fate of the country on this one battle and pulled off a decisive victory, saving his king and country. 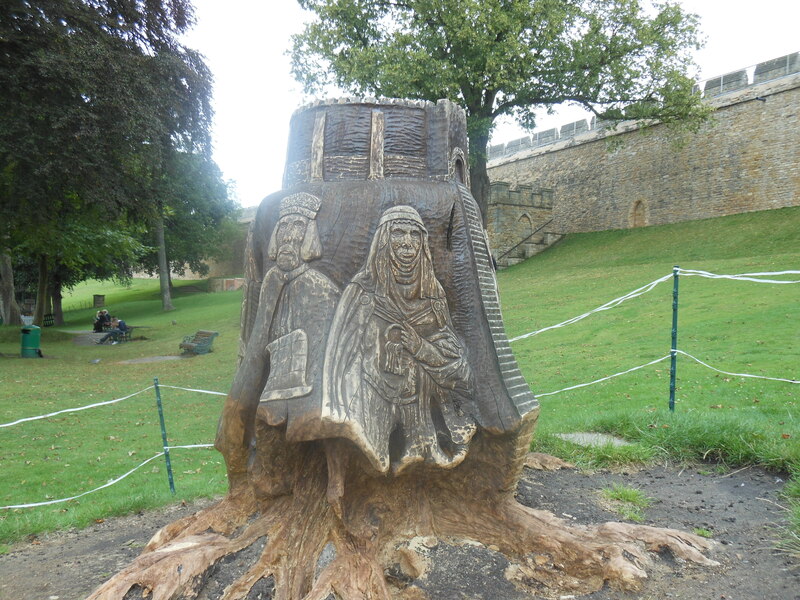 All photos from Lincoln – Castle, Cathedral and Magna Carta, © Sharon Bennett Connolly 2015. All other pictures are courtesy of Wikipedia. Sources: King John by Marc Morris; Henry III The Son of Magna Carta by Matthew Lewis; The Demon’s Brood by Desmond Seward; The Greatest Knight by Thomas Asbridge; The Knight Who Saved England by Richard Brooks; The Plantagenet Chronicles edited by Elizabeth Hallam; Brassey’s Battles by John Laffin; 1215 The Year of Magna Carta by Danny Danziger & John Gillingham; The Life and times of King John by Maurice Ashley; The Story of Britain by Roy Strong; The Plantagenets, the Kings Who Made England by Dan Jones; England Under the Norman and Angevin Kings by Robert Bartlett; lincolnshirelife.co.uk; catherinehanley.co.uk; magnacarta800th.com; lothene.org; lincolncastle.com; Nick Buckingham; The Sheriff: The Man and His Office by Irene Gladwin; Elizabeth Chadwick; swaton.org.uk; Histoire de Guillaume le Mareschal translated by Stewart Gregory, usna.edu. Heroines of the Medieval World: These are the stories of women, famous, infamous and unknown, who shaped the course of medieval history. The lives and actions of medieval women were restricted by the men who ruled the homes, countries and world they lived in. It was men who fought wars, made laws and dictated religious doctrine. It was men who were taught to read, trained to rule and expected to fight. Today, it is easy to think that all women from this era were downtrodden, retiring and obedient housewives, whose sole purpose was to give birth to children (preferably boys) and serve their husbands. Heroines of the Medieval World looks at the lives of the women who broke the mould: those who defied social norms and made their own future, consequently changing lives, society and even the course of history. Silk and the Sword: the Women of the Norman Conquest: Everyone knows about the events of 1066; the story of invasion and conquest. But what of the women? Harold II of England had been with Edith Swan-neck for twenty years but in 1066, in order to strengthen his hold on the throne, he married Ealdgyth, sister of two earls. 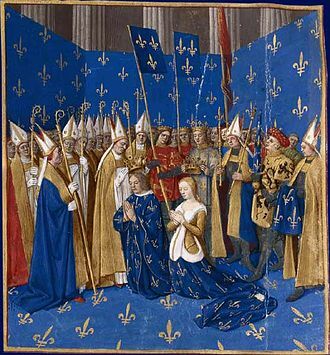 William of Normandy’s duchess, Matilda of Flanders had, supposedly, only agreed to marry the Duke after he’d pulled her pigtails and thrown her in the mud. Harald Hardrada had two wives – apparently at the same time. So, who were these women? What was their real story? And what happened to them after 1066? From Emma of Normandy, wife of both King Cnut and Aethelred II to Saint Margaret, a descendant of Alfred the Great himself, ‘Silk and the Sword: the Women of the Norman Conquest‘ traces the fortunes of the women who had a significant role to play in the momentous events of 1066. 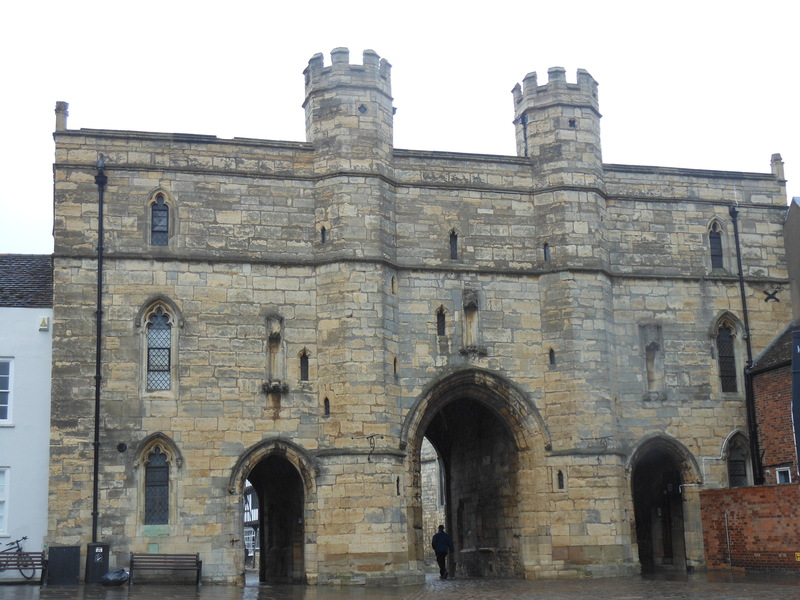 Pingback: Lincoln Castle, a Journey Through History – History… the interesting bits! Pingback: Nicholaa de la Haye, England’s Forgotten Heroine – History… the interesting bits! Congratulations on your book! I’ll be buying it if it’s available on Amazon here in the States. Very exciting! And Nicholaa sounds like another amazing woman. I’m so grateful you’re bringing to light the deeds of these unique females in history. Their stories need to be told, particularly now. I’ll be looking forward to more of your posts. Thank you so much and thanks for all your support – it is very much appreciated. The book is available for pre-order from Book Depository in the US and I’m sure it will be available on Amazon US eventually, I just don’t know when, as yet. Excellent stuff. Should be a movie! Aw it’s about time they did a movie where the hero’s are that age! This event may be in my next medieval novel. 🙂 I want to revisit Nicholaa.